Looking for Kitsilano’s best brunch restaurants? The Oakwood Canadian Bistro opened less than a year ago and is quickly becoming known as one of the great destinations for Vancouver’s favorite, lazy weekend pastime. Its roaring fireplace only has something to do with it. 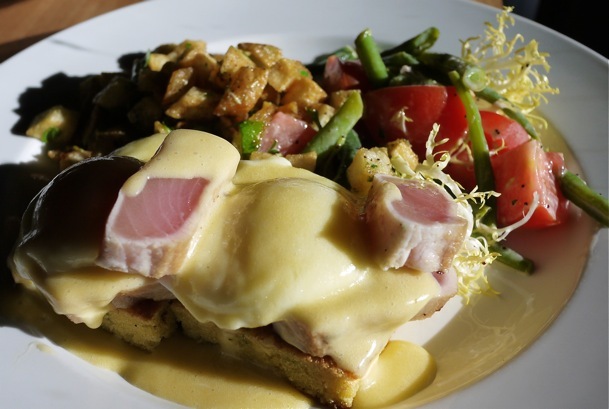 Eggs Benedict fiends specifically must head to the wood-wrapped eatery for one of the best versions of the hollandaise-slathered dish that I’ve had in recent memory: ‘Albacore Tuna Nicoise Benedict’. The enticing entree’s ‘to die for factor’? Sweet, moist wedges of house made cornbread. Two perfectly runny poached eggs and fresh seared tuna — covered in a delicious lemony hollandaise sauce — complete the dish. 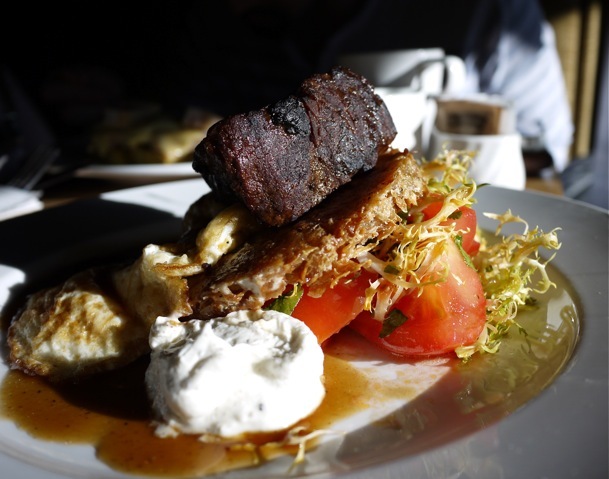 My brunching partner loved the Braised Shortrib — another menu item winner.